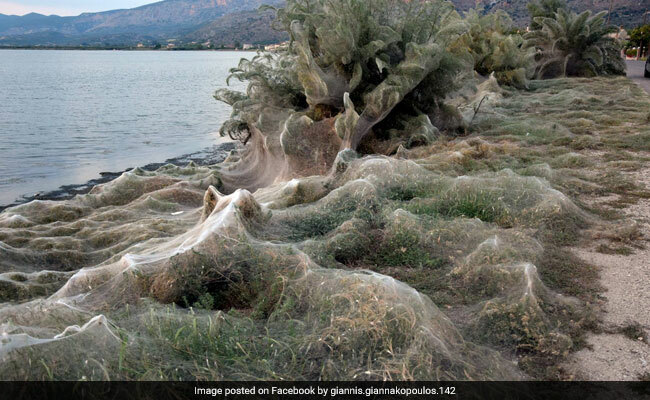 A Greek town has been turned into what looks like a scene straight out of a horror movie. 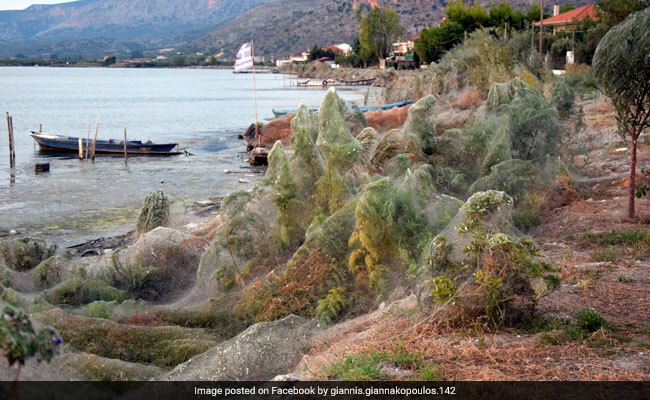 Aitoliko – a town that is otherwise known as Greece’s ‘Little Venice’, has been taken over by thousands of spiders, and the pictures are as terrifying as you would imagine. 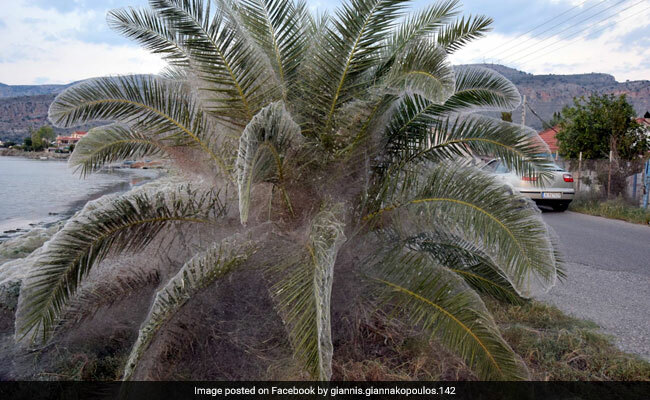 Photos shared by Giannis Giannakopoulos show plants, trees and flower beds covered entirely by white spider webs that are crawling with thousands of spiders. 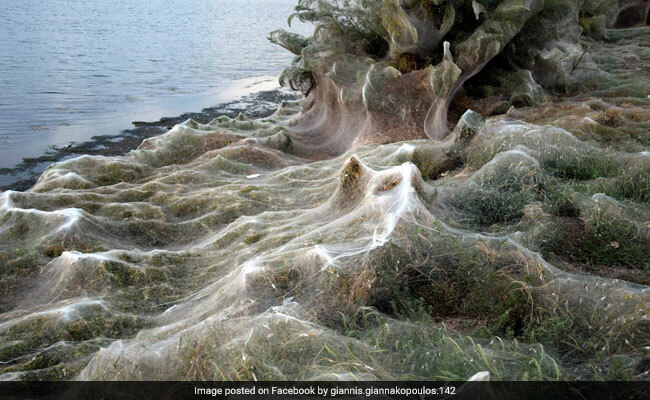 According to the Guardian, the webs have been created by spiders of the Tetragnatha genus. These spiders are – worryingly enough – so small and so light that they can run across water faster than they can move on land. However, they don’t pose a threat to humans. 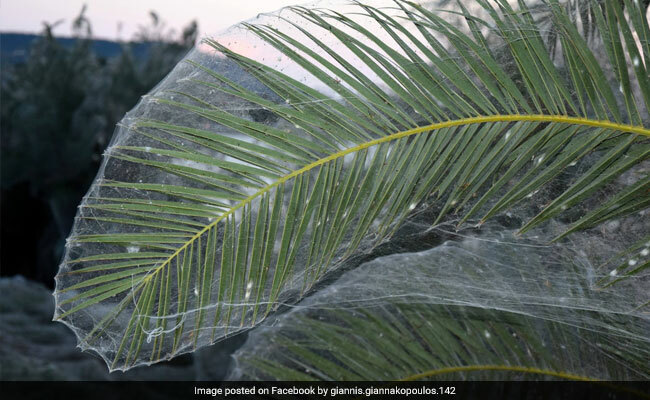 “These spiders are not dangerous for humans, and will not cause any damage,” molecular biologist Maria Chatzaki told local news websites. 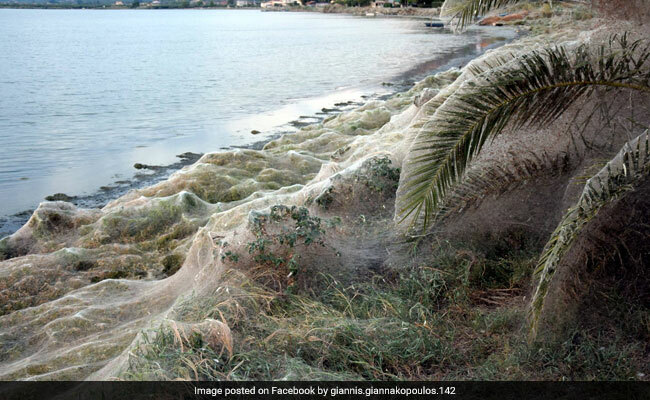 According to CNN, the phenomenon of spider infestation is rare, but not unheard of. 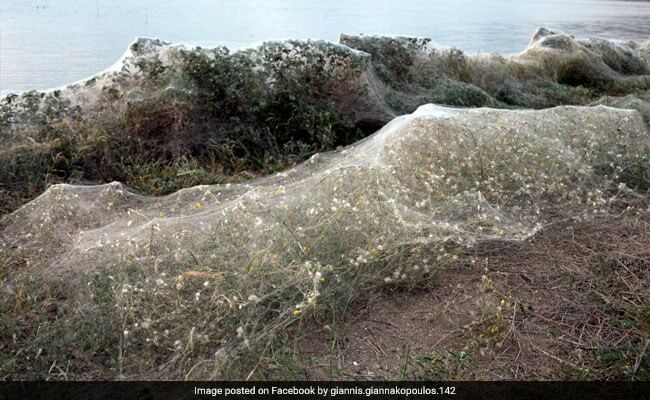 The reason that Aitoliko has been taken over spiders is because the town has a thriving population of their favourite snack: gnats. While the locals may not be too worried, the images definitely have netizens freaked out. Giannis’ album has been shared over 230 times on Facebook, and has collected a ton of terrified comments. “It’s time to burn the island!” writes one person in the comments section. “I can’t imagine getting anywhere NEAR THIS to take pictures???!!! OMGosh!! !” says another. Would you be brave enough to enter this town? Let us know using the comments section below.